Samsung is apparently aiming to sell 320 million smartphones, 40 million feature phones, 20 million tablets and 5 million wearable devices this year as per a report by The Investor, this week. Those numbers are more or less similar to the sales figures of 2017 and Samsung projects sales to remain flat in 2018, unnamed industry sources in South Korea told the publication. After a massive increase in operating profits last year, one of the reasons for Samsung’s expectations is that the company is apparently concentrating on increasing profitability rather than chasing market share. Company insiders are also believed to be citing ‘market saturation’ as one of the reasons that will hold them back from increasing their sales volume in 2018. Even so, Samsung’s projections are the largest in the smartphone market, ahead of Apple and Huawei, the report mentioned. To a large extent Samsung has to target lower volume and high profit due to losing a big battle to the likes of OnePlus, Moto and Xiaomi, which dominate the segment where Samsung once reigned supreme. Now Samsung has lost ground to these, especially to Xiaomi in India, where smartphone growth continues unabated. Samsung is already the largest smartphone vendor in the world with sales of over 300 million units in 2017. If sales target are the same, the company is clearly aiming for bigger profits and does not hope to make a big dent in the high-volume segments. How exactly it will achieve this is yet to be seen, especially as another potential Galaxy Note battery fiasco lurks in the shadow. 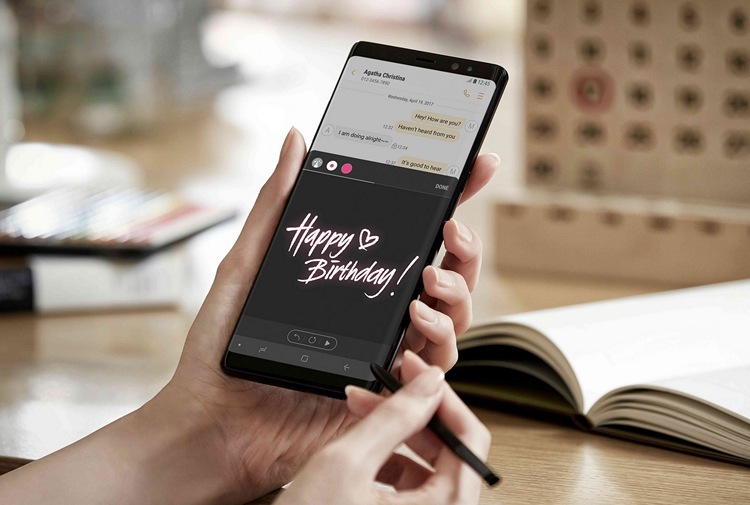 The South Korean company is expected to release the Galaxy S9 devices in the coming months, although, they are only expected to bring iterative changes over their predecessors. It will be interesting to see what the pricing of this range will be as Samsung looks to re-orient its business towards a profit model. Can the Korean juggernaut pull this off or will it have to rethink this approach come the end of year.